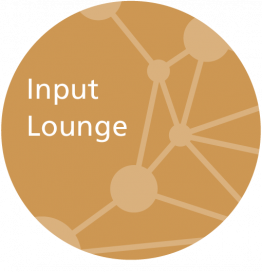 At the Input Lounge we present five roundtables where we invite you to give feedback on certain issues or let you experience what it is like to develop an interdisciplinary course. Is the ‘boundary crossing rubric’ useful for your educational practice? After a short introduction, participants of this roundtable are invited to apply a rubric that operationalises and facilitates the assessment of learning to cross boundaries. The participants are asked to determine and discuss the usefulness of this rubric for their own inter- or transdisciplinary educational practice. The discussion is meant to improve the rubric for its use in various educational contexts. One of the discussion points could be to explicate the differences in learning outcomes between a University of Applied Science and an Academic University. Be responsive to the needs of the student or guide them instead? How can you get students in the natural sciences interested in subjects from the humanities and social sciences? Feedback was asked for the Honours module in Robotics on how students can learn as much as possible from each other, and how they can best be enabled to step outside their comfort zone. In what circumstances should you integrate knowledge? And when shouldn’t you? What are the reasons for combining disciplines and how do you create cohesion between the courses? In this round table we provide you with concrete real-life examples, and you will experience what it is like to develop interdisciplinary education in cooperation with other disciplines. How can you engage experiential experts in education? ‘Invisible The Hague’ wants to raise societal issues among students and let them collaborate with experience experts (ex-homeless people or ex-offenders). You are invited to give feedback on this project and help think about what can be achieved in cooperation with universities. In this round table, you are challenged to think about a further-reaching interdisciplinary implementation of modules and a track in the field of Smart Cities. What are the consequences of opening the module to other study programmes? How can cooperation between study programmes strengthen the track? And what knowledge, skills and attitudes are necessary to turn this track into a successful learning experience?